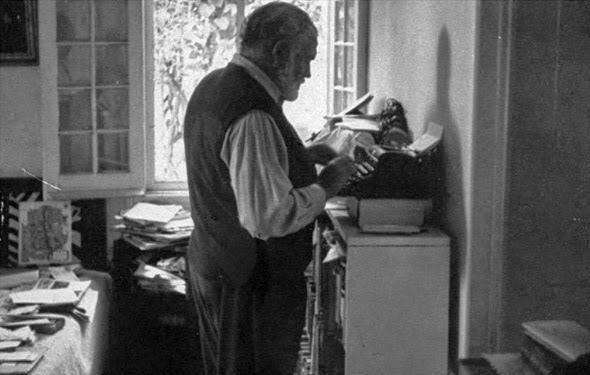 Until I read a comment from Richard Polt on my post about it being Far From Over for typewriters, I thought I knew a lot about Ernest Hemingway and a fair bit about Red Smith (below, this time with an Olympia standard). 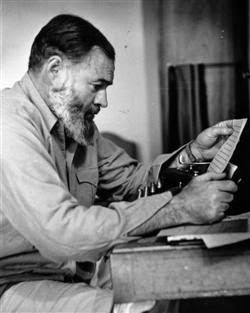 I was familiar with the quotation about "sitting at a typewriter and opening a vein", but had never felt inclined to question whether the widely accepted wisdom was right, that it came from Hemingway. It seems I was far from alone in this, and I note that, having commented on Richard's comment, Taylor Harbin is now contemplating a change to the sub-head on his Oblivion Sphere blog. "Recently, I’ve seen another bastardised quotation zapping around the Internet. It’s a quote attributed to Ernest Hemingway. As a Hemingway-phile, I was quite interested. The quote goes like this: 'There is nothing to writing. All you do is sit down at a typewriter and bleed.' I was immediately suspicious. 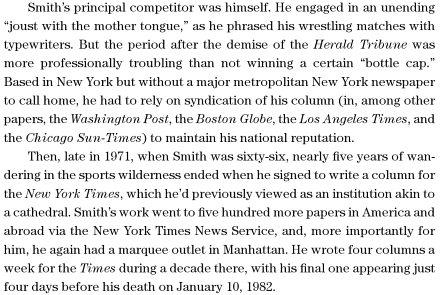 Something was rotten in the state of Bartlett, for it was the great sports writer Red Smith who said, 'There’s nothing to writing. All you do is sit down at a typewriter and just open a vein.' (There are some variations on this, but the source is clear.)" 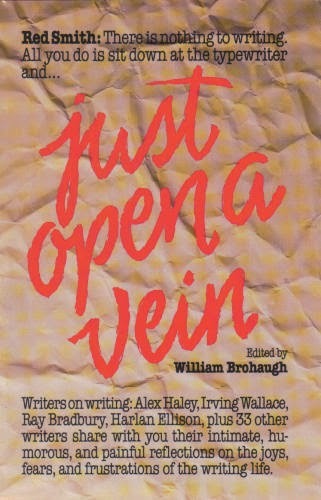 Bell went on: "This quote, in fact, became the basis of a book on writing, Just Open a Vein, edited by William Brohaugh (Writer’s Digest Books, 1987). 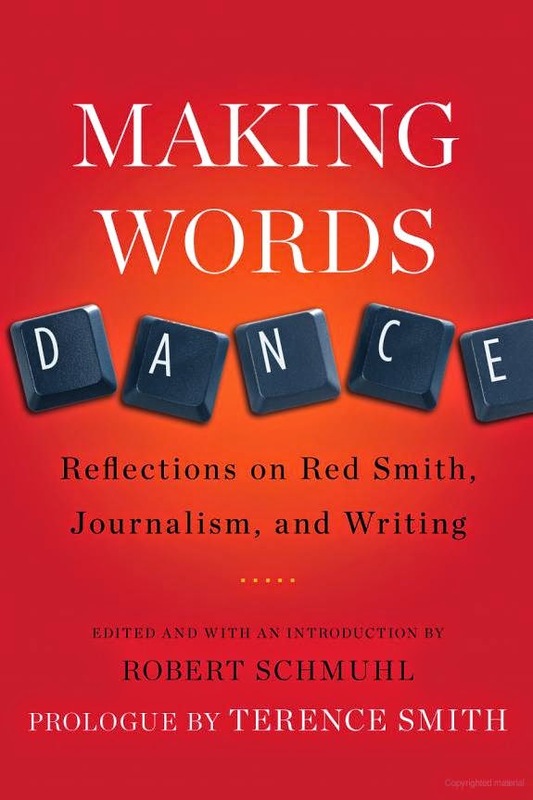 The Red Smith quote, with attribution, was printed right on the cover. 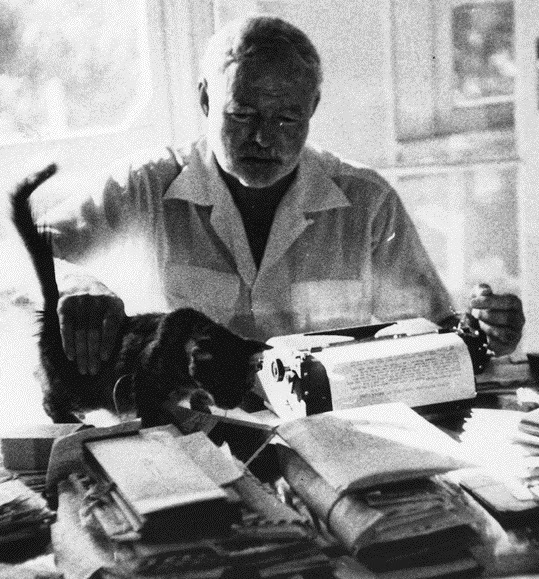 So how did these words get into Ernest Hemingway’s mouth, and thence to the wide world of the Internet? "A TV writer did it, that’s how! As I investigated this further, I came across an Entertainment Weekly article from May 28, 2012, by Ken Tucker. 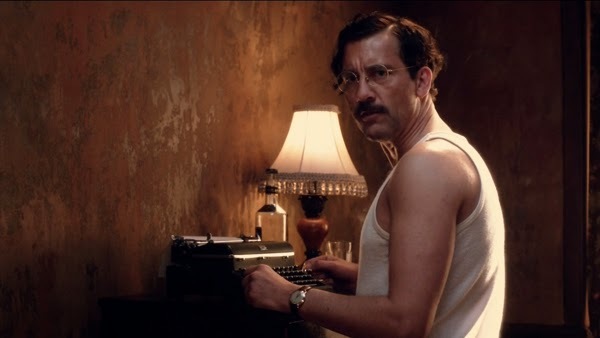 It was a review of an HBO movie about Hemingway and his third wife, Martha Gellhorn. Tucker writes: 'There’s a lot of dialogue that sounds as studied as Hemingway must have intended it to sound as he declaimed it (“Let me tell you about writers — the best ones are all liars”) and stuff that’s almost certainly cobbled together from various sources. 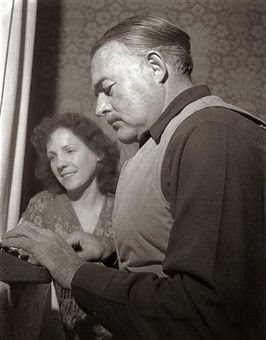 (I was particularly amused when a negative review of the movie today in The New York Times made a point of ridiculing one Hemingway line - “There’s nothing to writing, Gellhorn - all you do is sit down to your typewriter and bleed” - but failed to realise it most likely derived from a New York Times sportswriter Red Smith’s wry dictum, “Writing it easy; all you have to do is open a vein and bleed.”).'" Bell added: "So there you have it. It seemed like a good line to give to Hemingway in a biopic. But there’s another problem with having him say this (besides the fact that he never said it). The problem is he never would have said it! "Because Hemingway drafted in longhand, and he drafted standing up! He stood because of injuries sustained during his service in World War I. It was easier on him to be on his feet. "He usually only got to a maximum of 500 words in a single day, because he was famously trying to write 'one true sentence' followed by another, and so on. 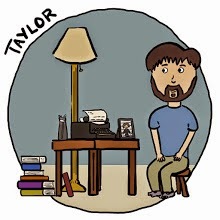 (NOTE: There’s a famous author photo of Hemingway at a typewriter for the back cover of For Whom the Bell Tolls. But this was a staged photo to emphasise the Hemingway field reporter mythos). "Did not use a typewriter." 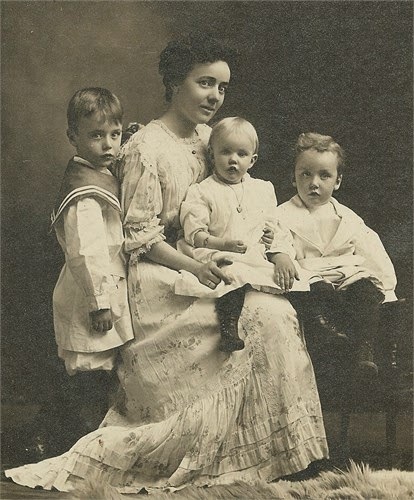 Note the quotation under the images above. 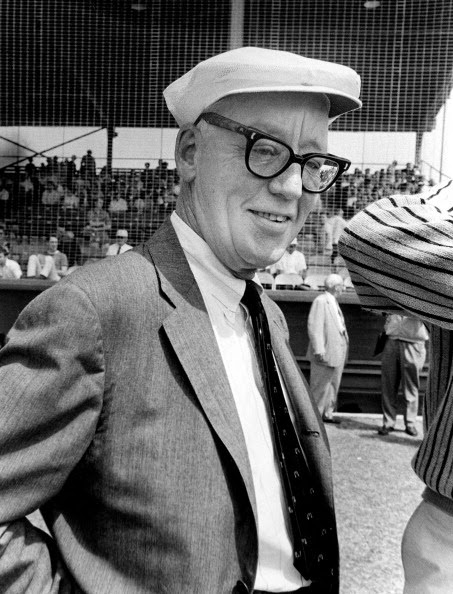 Red Smith was the only sports writer in history whom the rest of us also saw as an accomplished musician. He played the typewriter. It sang so beautifully, even though he used nothing more than the forefinger of each hand. 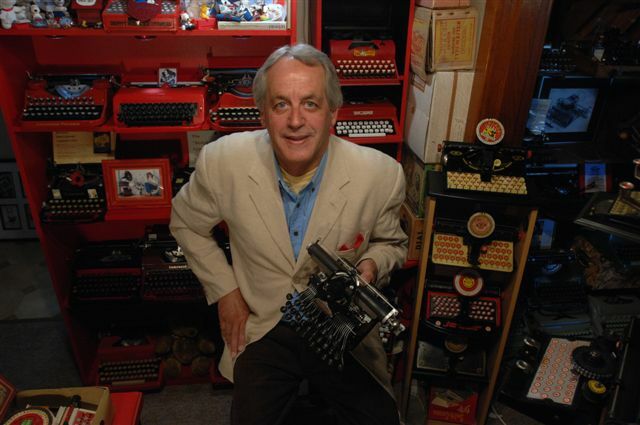 He would sit in the hullabaloo of a World Series or Kentucky Derby or Super Bowl pressbox and write his column. When he would finish, and we would see him put his musical instrument back into the typewriter case, we knew he had just completed another masterful job of putting the dictionary's words into better order than Webster. Walter Wellesley Smith died Friday. He was 76. 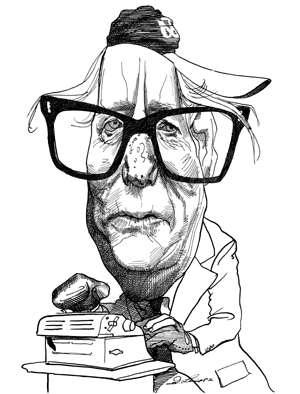 He had been writing four sports columns a week for the New York Times, but in the last column he wrote he said his output was being reduced to three. 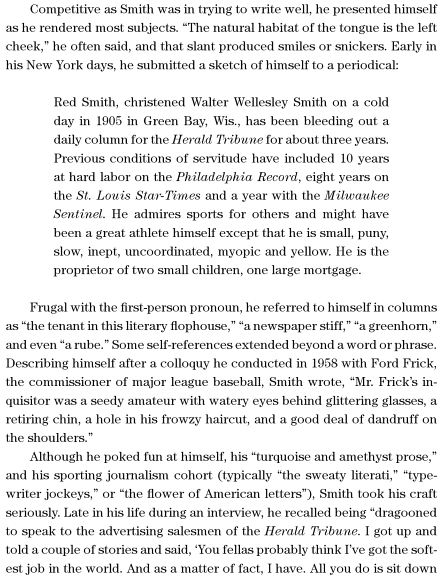 For most of his life, and for all of mine and probably yours, Red Smith was acknowledged as the best sports columnist ever. His lead was considered so great that nobody finished second. 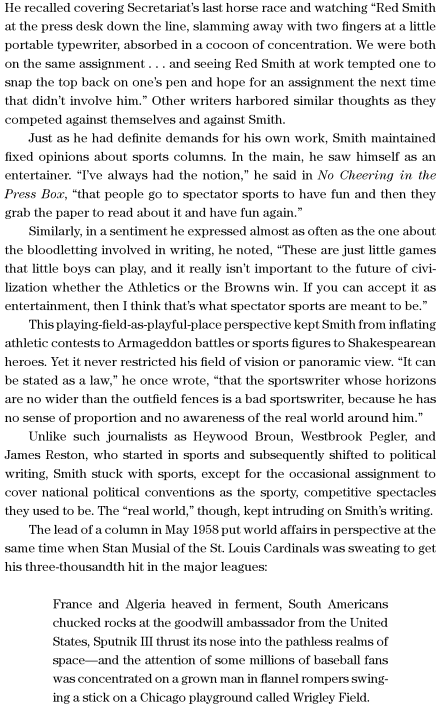 Last July, when the Los Angeles Times did a study of sports columnists, Smith was quoted on today's writing breed. "Some of these amateur psychologists on the sports pages bore me. Some columnists today give me the distinct impression that they actively dislike sports. They should have a decent regard for their field. I like to see them laugh now and then. Sports are good fun. We should view them with a light heart." Unlike the pages we write for, newspapers do not list rosters of sports writers. 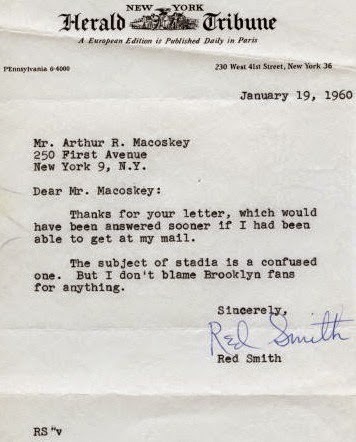 But Red Smith was a small man, about 5-8 I would think. Weight around 150. I first met him about 20 years ago and wondered when his hair had been red. His face was a little reddish, but his hair was white. He was the sort who stood back in a crowd. He listened much more than he talked. His manners were as impeccable as his writing. He was a thoroughbred gentleman. It was when he wrote that he stood out in the crowd. 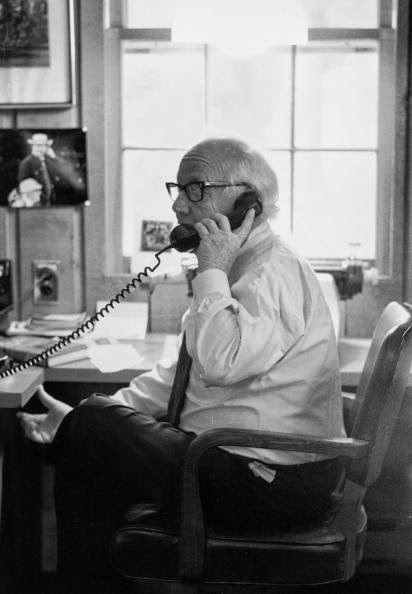 When he was interviewed a few years back for Jerome Holztman's book, No Cheering in the Press Box, Smith said: "I like to report on the scene around me, on the little piece of the world as I see it, as it is in my time. And I like to do it in a way that gives the reader a little pleasure, a little entertainment. I've always had the notion that people go to spectator sports to have fun and then they grab the paper to read about it and have fun again." And he also said, "The guy I admire most in the world is a good reporter, and I'd like to be called that. 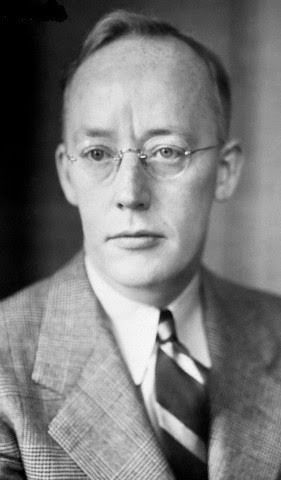 I'd like to be considered good and honest and reasonably accurate." 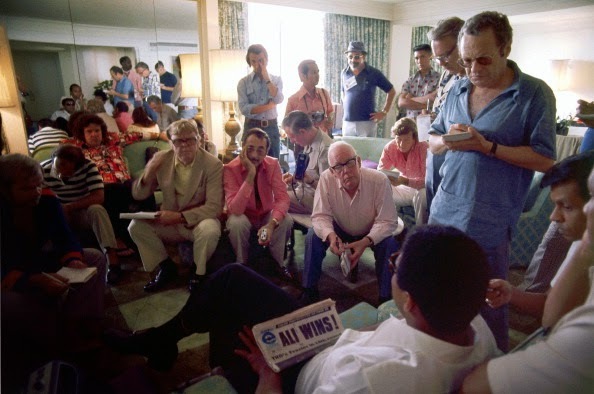 I am sure we never imagined Red Smith would not be with us, or that at next week's Super Bowl he would not be present, so that all of us who are taller could look up to him. Because he was good and honest and accurate. And the greatest musician of our time. Great work Robert! 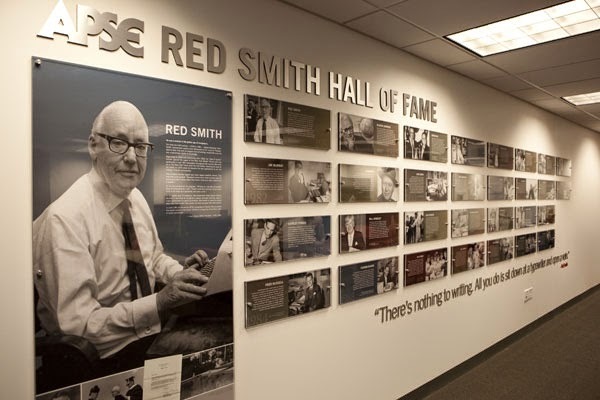 Your first piece on Red Smith got me iterested in the origin of the quote and reading more about Mr. Smith. Now I must read some of those books. I missed quite a bit by never reading the sports section of the newspaper. It takes a reporter to write about a reporter! You've done great work digging up all this stuff, which makes Red Smith come across as a very appealing character indeed. 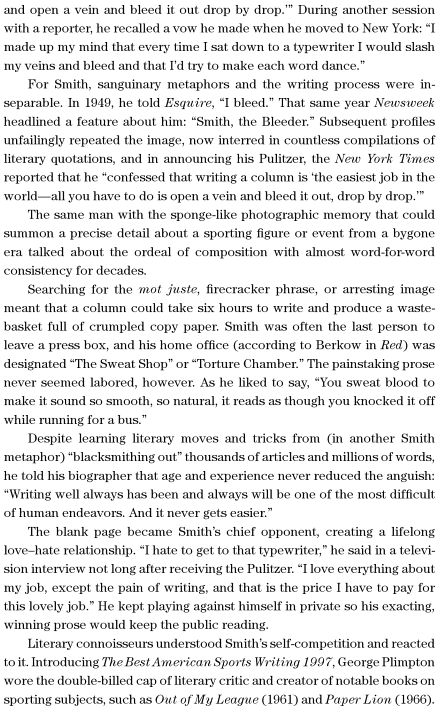 For my book, I did a small part of the same research, and ended up attributing the quote to Smith in the form quoted by Winchell, which seems to be Smith's earliest recorded combination of "bleed" and "typewriter." Great research, and what an honor to be mentioned! But I still don't know what to do with my blog, lol.